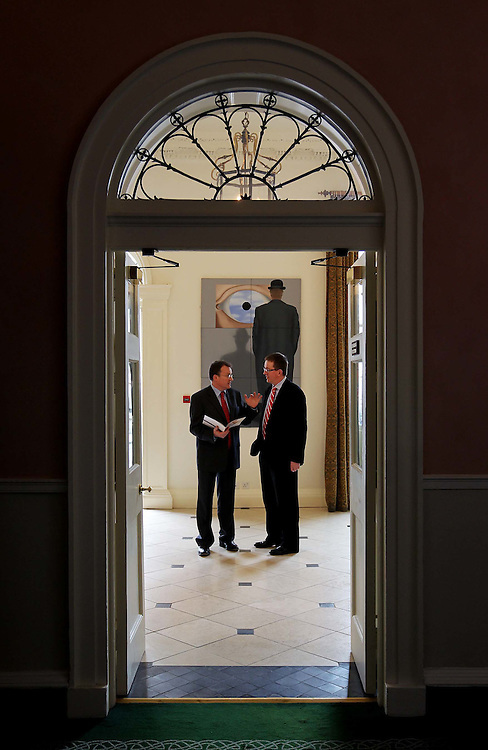 .Jim Power, Chief Economist, Friends First (left) and Eamonn Twomey, Head of Marketing, Friends First, pictured here at the Quarterly Economic Outlook entitled, "Avoiding a Greek Tragedy" held in the Merrion Hotel, Dublin. Pic. Robbie Reynolds/CPR..